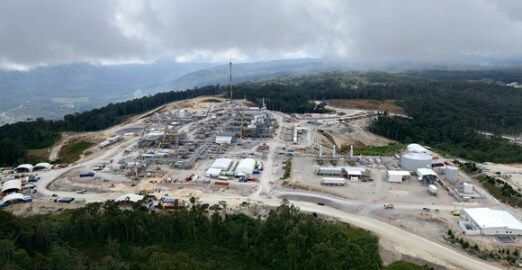 The Hides Petroleum Development Licence 7 area facility owners in the Hela province are disgruntled over the manner in which the K15 million was paid out by the PDL 7 Local Level Government Special Purpose Authority. The legitimate landowners on the ground claim to have missed out on the project security funds delivered by the national government to the PDL 7 landowners. The landowners said that the Hides Gas Conditioning Plant and the pipeline facility owning clans have missed out on their share of the funding where the funding had disappeared in the hands of the PDL 7 authority board members. “The funds delivered by national government has gone to the Hides PDL 7 LLG Government SPA and its executives and not to the affected landowners”, said Mr. Alembo Paliawe of the principal facility owning Tuguba Tagobali clan. The PNGLNG project facility landowners namely, Alembo Pliawe, Chief Mathew Yape, Chief Tara Paliwa, Chief Tiki Juli, Chief Parapu Mukani, Chief Enopi Haralu and Henry Parila, said that the funds were paid by the government to the government itself and not to the legitimate landowners. They said that this approach taken by the government is a wrong precedence and that the clan vetting exercise should be put on hold until funds are made available to the legitimate landowners.